As per the Wikipedia definition, music is an art form whose medium is sound and silence. Its common elements are pitch, rhythm, dynamics, and the sonic qualities of timbre and texture. But, what is music in an aesthetic sense? Well, music is a rhythm divine, which can make mortals dance to its tunes, holding sway over their senses with ridiculous ease. 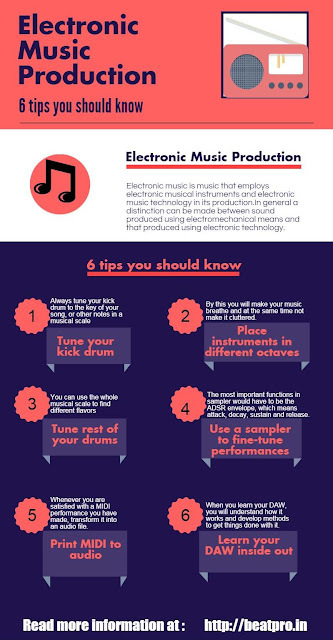 Keeping this in mind, today we have something very interesting to share with cineaste friends, especially those of you who adore electronic music: a handy little infographic from beatpro.in. 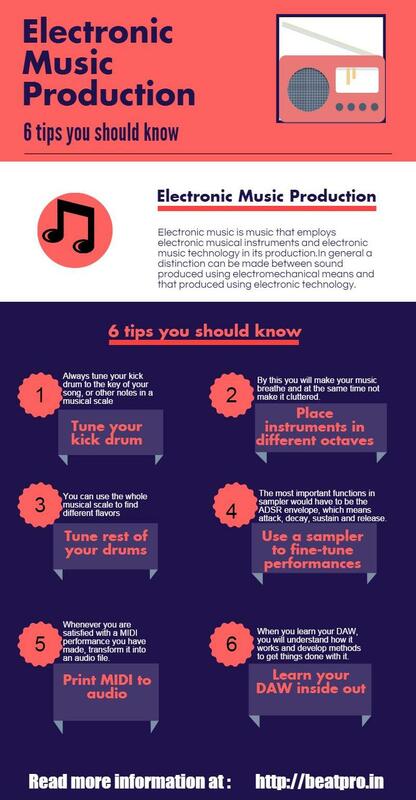 Enthusiasts can use it to learn some basic tips about Electronic Music Production.